We picked up a second Android 8.1 Developer Preview last week, which was mostly a final version, though we are expecting another update to the final version this month. 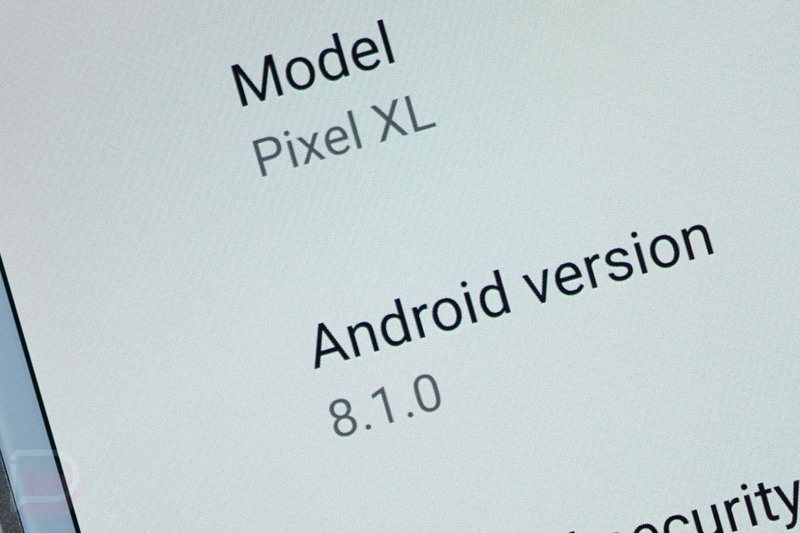 We are also expecting the December security patch to reach Pixel and Nexus devices as early as today. So is Google saying that the December patch is stable 8.1? We haven’t seen it hit AOSP yet, so…hmmmm 🤔. Verizon did reveal the build for this month’s update as OPM1.171019.011. That may actually be the giveaway that this is 8.1, since we’ve got the reference to “M1” in there. That’s likely a reference to this being the 8.1 maintenance release. EDIT: Google did say that Android 8.1 was coming today in a blog post detailing Android 8.1 Go Edition. So yeah. UPDATE: The files are now live and the update is indeed stable Android 8.1. We should know before long what’s going on and we’ll update this post.